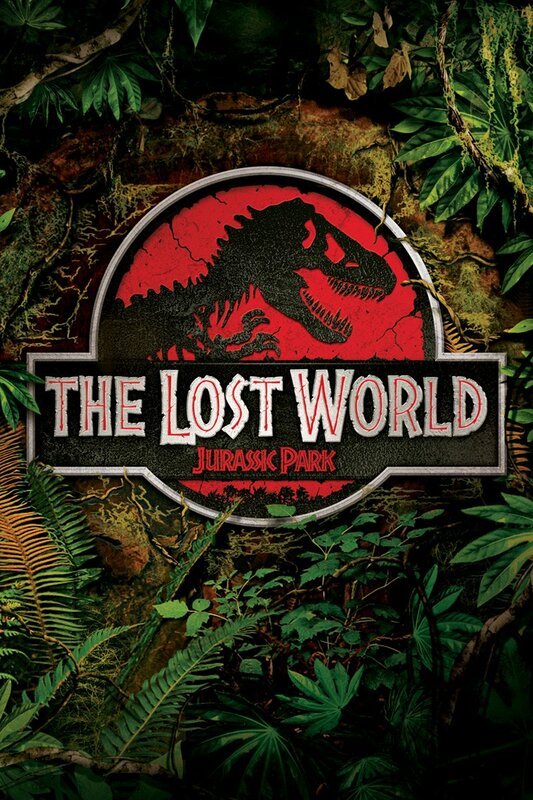 Last night I watched The Lost World: Jurassic Park (1997) by Steven Spielberg. The dino disaster sequel is based loosely on Michael Crichton's The Lost World - which Spielberg himself urged Crichton to write - and returns Jeff Goldblum as Dr. Ian Malcolm, everyone's favorite chaotician, on a brand new island with supposedly extinct dinosaurs. The Lost World is often swept under the rug, but I have to admit that I always had a soft spot for it and that, while it's obviously not as good as the original, it's still very much a wortwhile sequel. It's shocking to me how much hate #TLW has gotten over the years, especially since its dark tone and fast-paced action rank it head and shoulders above JP3 (although the battle between The Lost World and Jurassic Park 3 remains a hot topic among JP fans). When a little girl is attacked by a pack of Procompsognathus on the island of Isla Sorna, InGen founder John Hammond (Richard Attenborough) loses control of his company to his nephew Peter Ludlow (Arliss Howard). To preserve the island Hammond asks Malcolm (Jeff Goldblum) to join a team that will document the dinosaurs to rally public support. Ian declines, but, after learning that his girlfriend, animal behavioral scientist Sarah Harding (Julianne Moore), is part of the team and is already on the island, he agrees to go. After ariving on the island, Malcolm's team of equipment specialist Eddie Carr (Richard Schiff) and video documentarian Nick Van Owen (Vince Vaughn), watches on as another InGen team arrives to chase and capture dinosaurs. 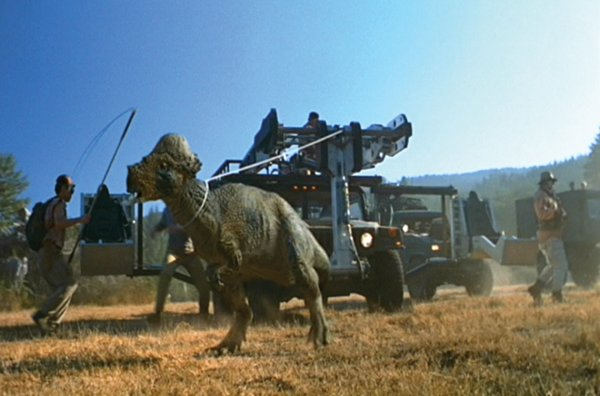 In Jurassic Park, Spielberg made dinosaurs look real. He used his expertise to do the same in The Lost World, bringing back fan favorites like the Tyrannosaurus Rex (times three!) and the Velociraptor, while also introducing new stars like the Stegosaurus, the Pachycephalosaurus (aka Friar Tuck), the Parasaurolophus (aka Elvis), and the Procompsognathus. 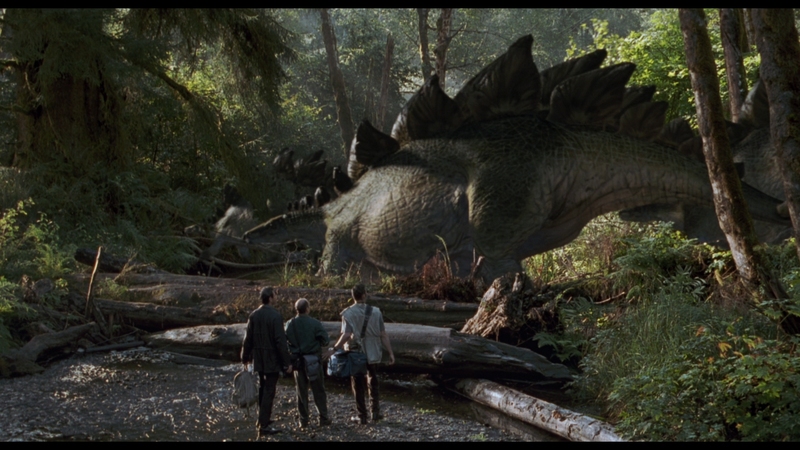 Seeing credible dinosaurs is 50% of a Jurassic movie, and in that regard TLW certainly delivers. The other 50%? Well, let's just say that Spielberg relied heavily on plot conventions and cliches to move the story forward. There's still plenty to feast on, however, with Pete Postlethwaite's character Roland Tembo and many cool action sequences of particular note. If you A) don't compare TLW too much to the orginal and B) skip the terrible, horrible, no good, very bad San Diego ending, you're in for a scary, delightful and interesting ride.